Fancy flowers to don up your interiors? 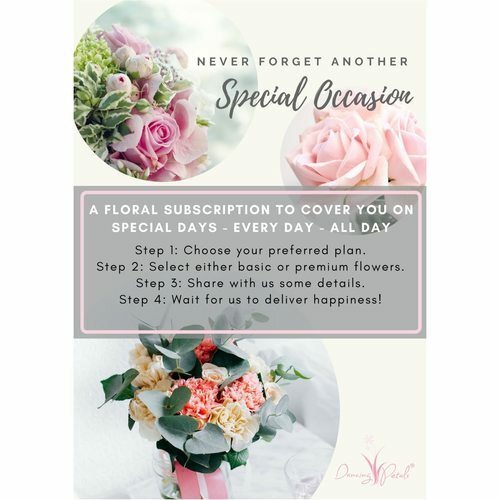 The very first time you sign up for a floral subscription plan with us, we will provide you with a glass jar and flowers on the first delivery. Thereafter, we will deliver fresh flowers of the week to your doorsteps and help you to place them into the jar. 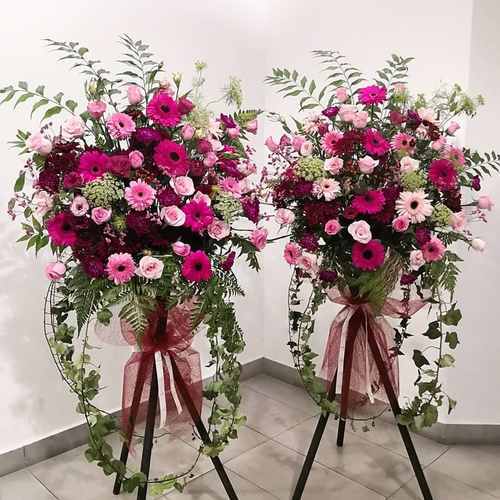 If you like to have your flowers delivered as a bouquet on a particular week for your special occasion, simply ring us up and we'll make it happen. Why choose us? Our affordable floral subscription plans come with free delivery (except restricted areas), weekly maintenance and service when we deliver the flowers. Plus, we send you a little surprise when you renew your plans with us! 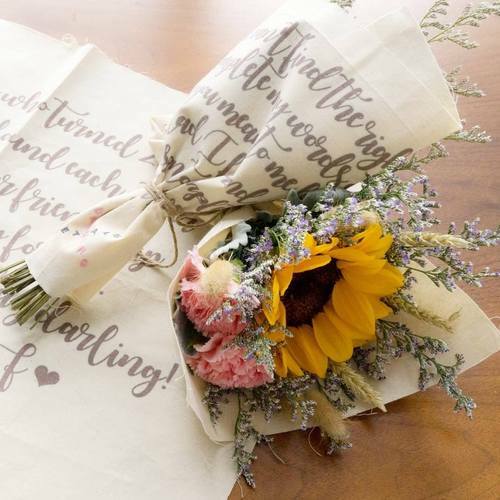 Subscription plans in detail: Monthly: $300 (4 weeks of flower deliveries) Quarterly: $900 (12 weeks of flower deliveries) *Free mystery gift each time you renew your plans with us! How to order? To subscribe to a monthly plan, simply add item to cart. To subscribe to a quarterly plan, simply add 3x quantity of this item to your cart.